Dailyhunt (formerly Newshunt) provides news about politics, sports, technology, business, entertainment & more for India & World. Stay updated with live breaking news, daily news headlines & today’s top stories. 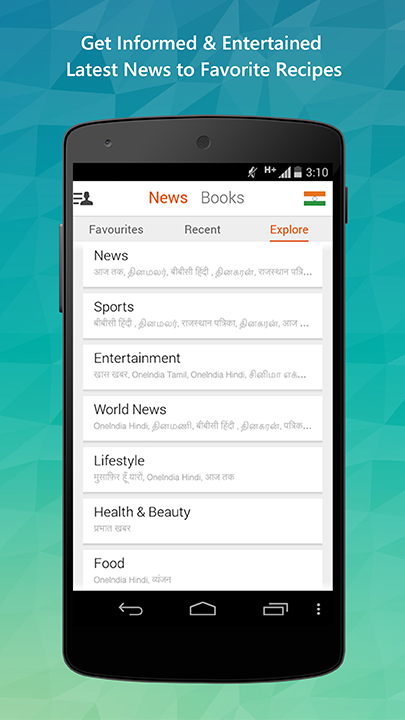 Read news in local Indian languages – Hindi, Malayalam, Kannada, Tamil, Telugu, Marathi, Bangla, Gujarati, Urdu, Oriya & Punjabi. Also, find free & paid eBooks & magazines on Dailyhunt. 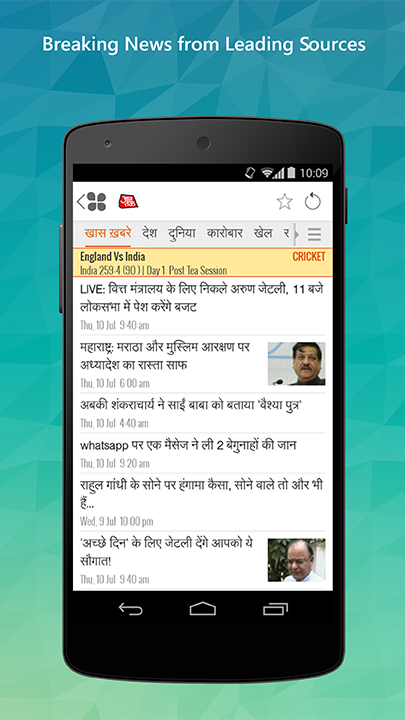 Download the app to get the best coverage on latest news, updates & current events. 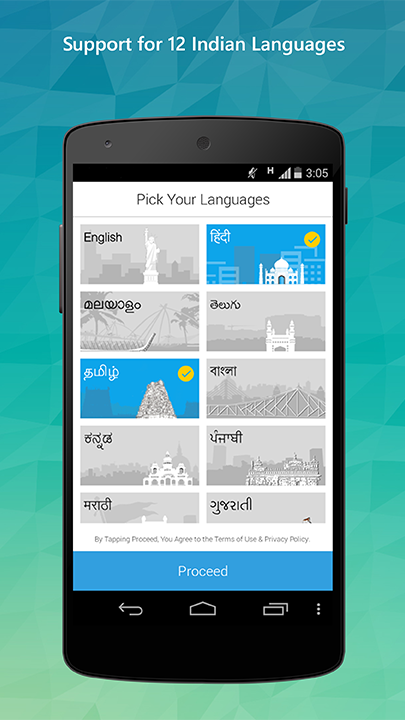 Dailyhunt is now available for India, Srilanka, Bangladesh, UAE, Africa & supports 15 languages. It has been completely redesigned with a beautiful interface focused on making experience of reading lighter, content more personalized & with better performance in an application that is loved by more than 90 million users.